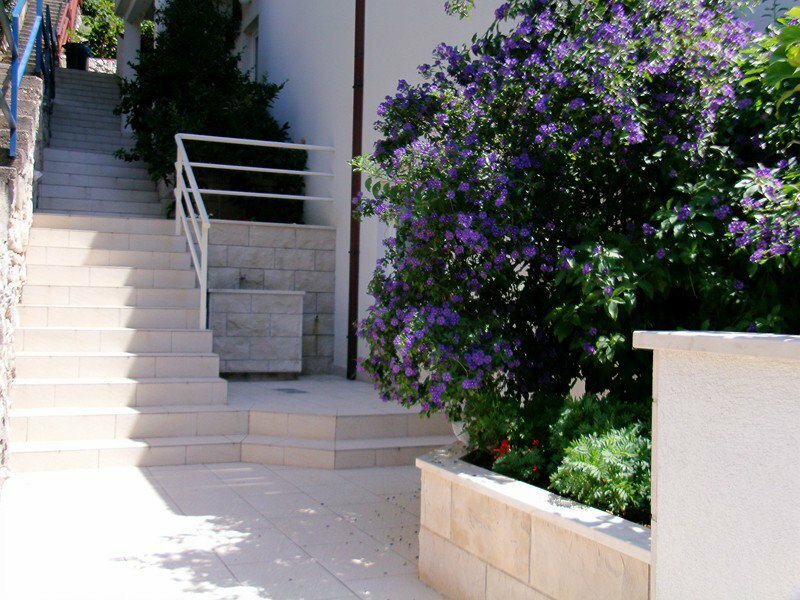 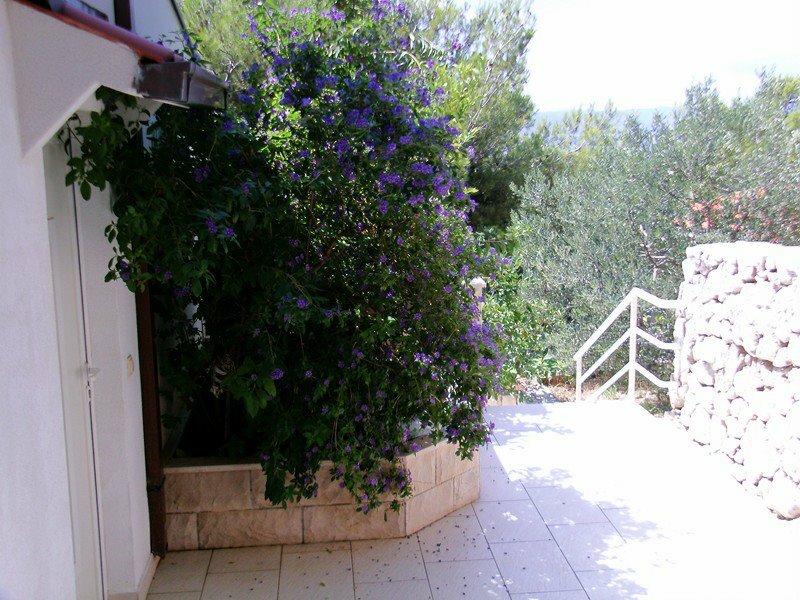 The house is situated in the part of the village called Scit, about ten minutes walking from the centre where are the most hotels. 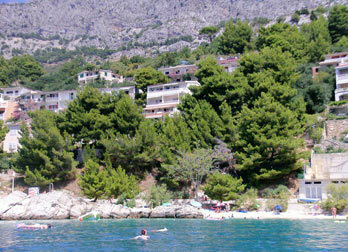 That way you can enjoy peacefull rest but anyway enjoy everything that modern tourism can offer. 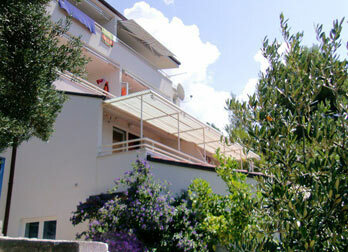 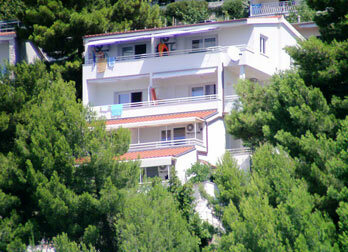 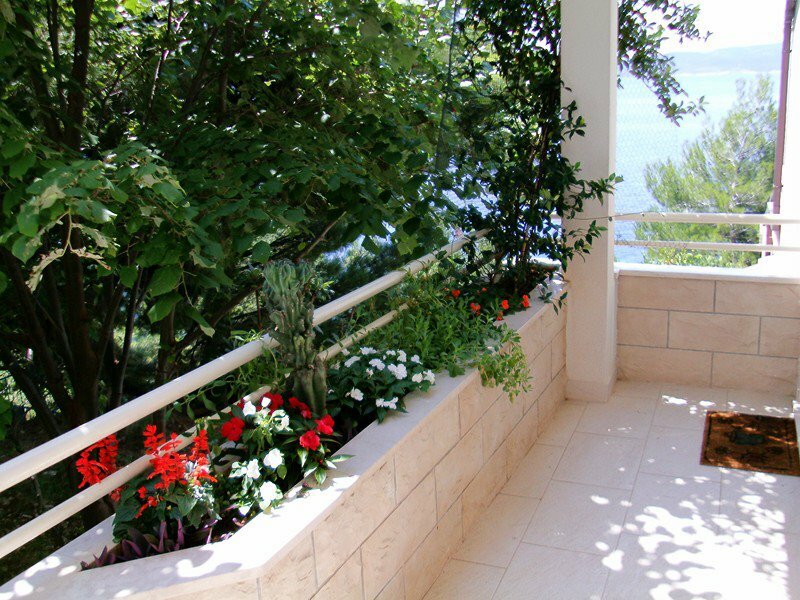 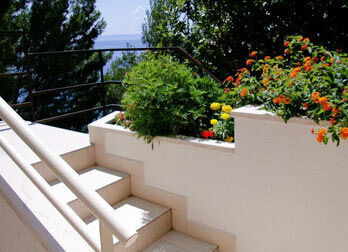 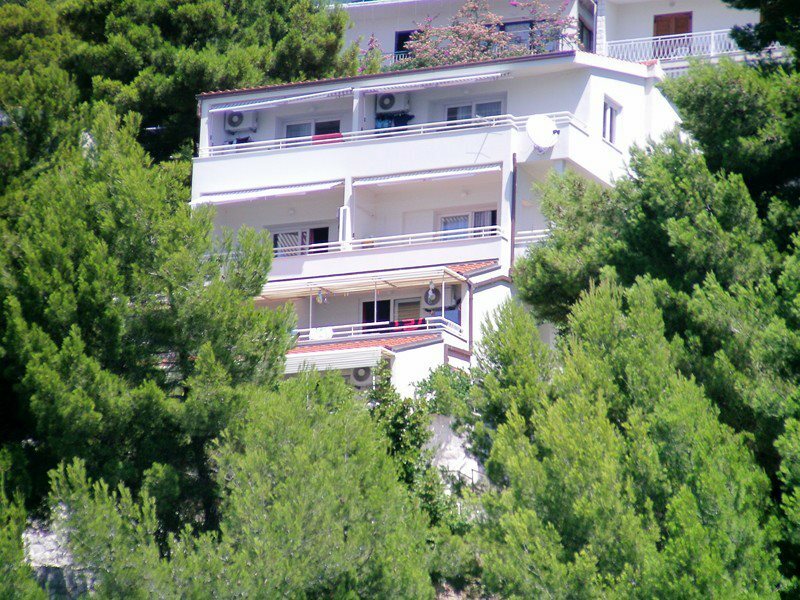 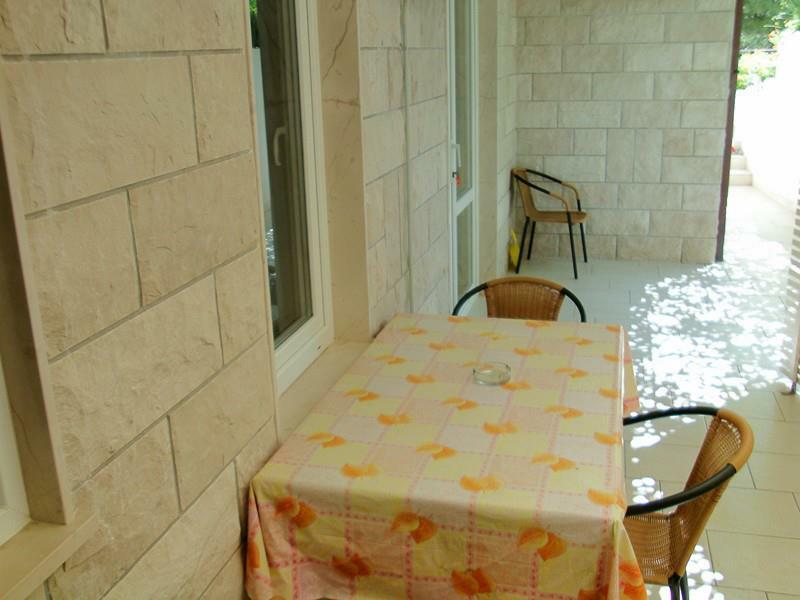 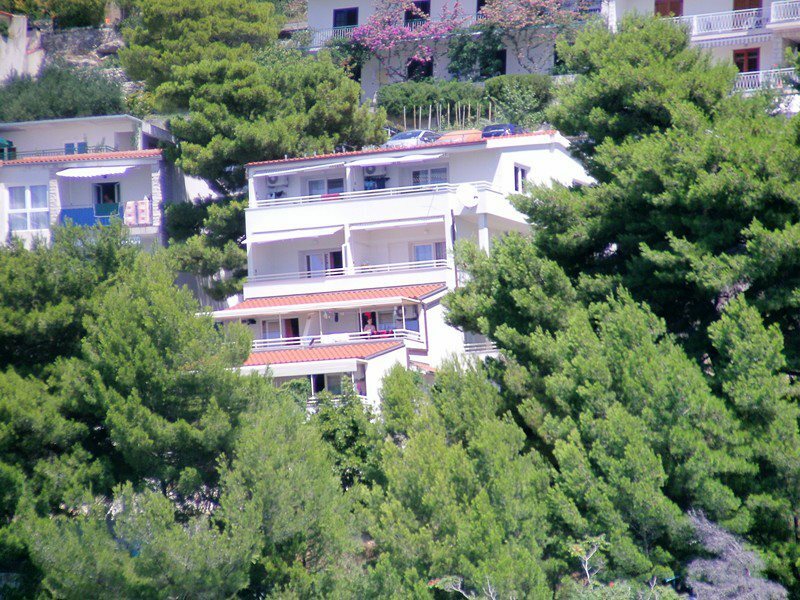 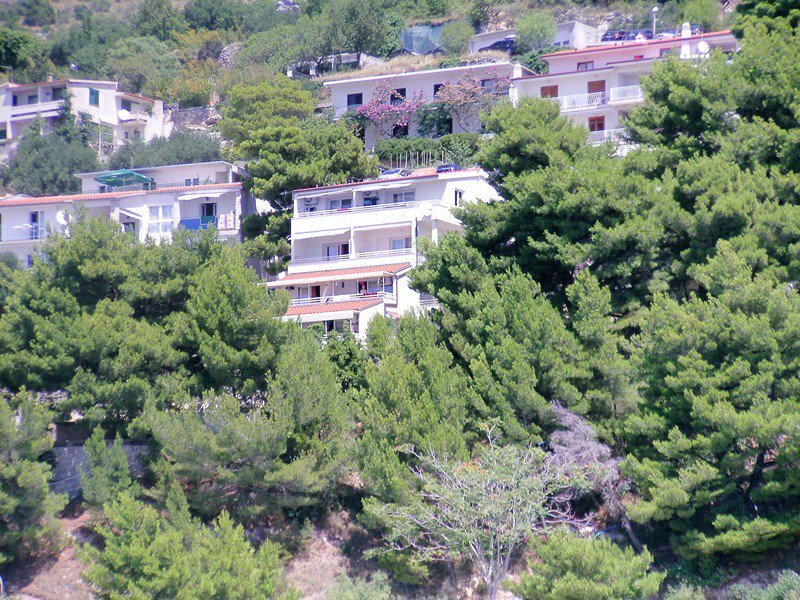 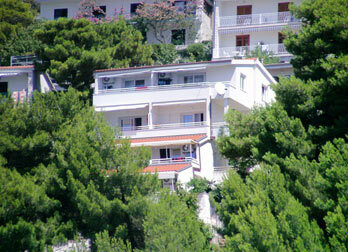 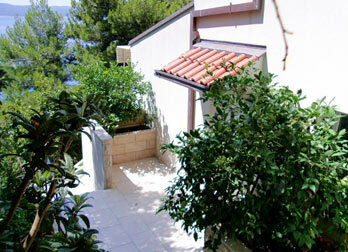 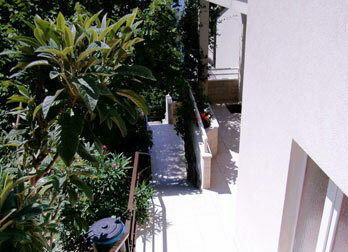 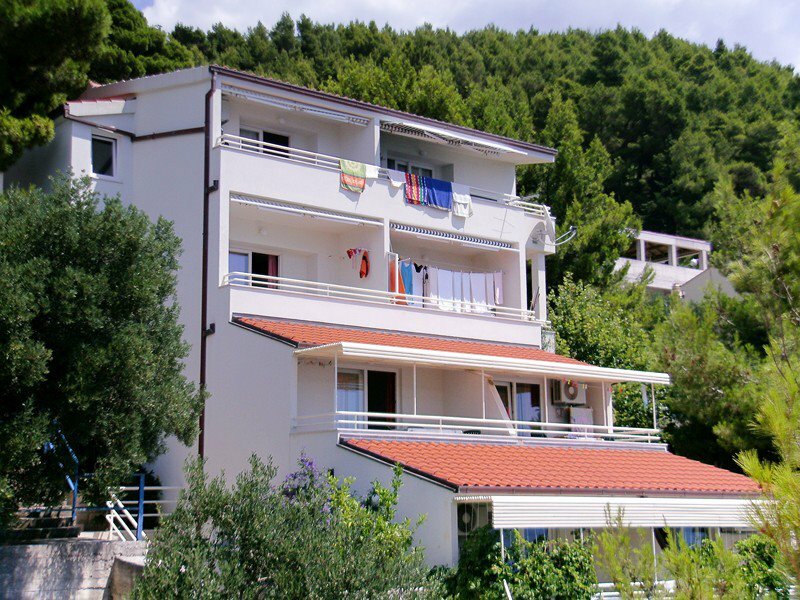 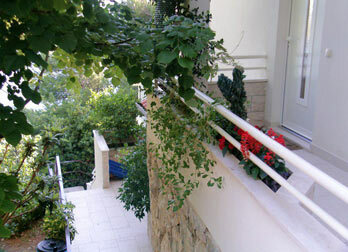 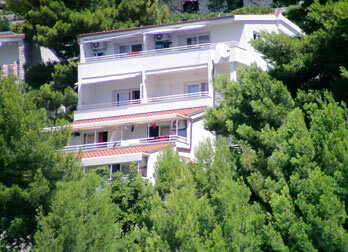 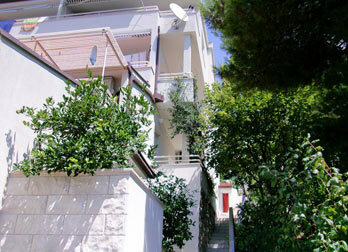 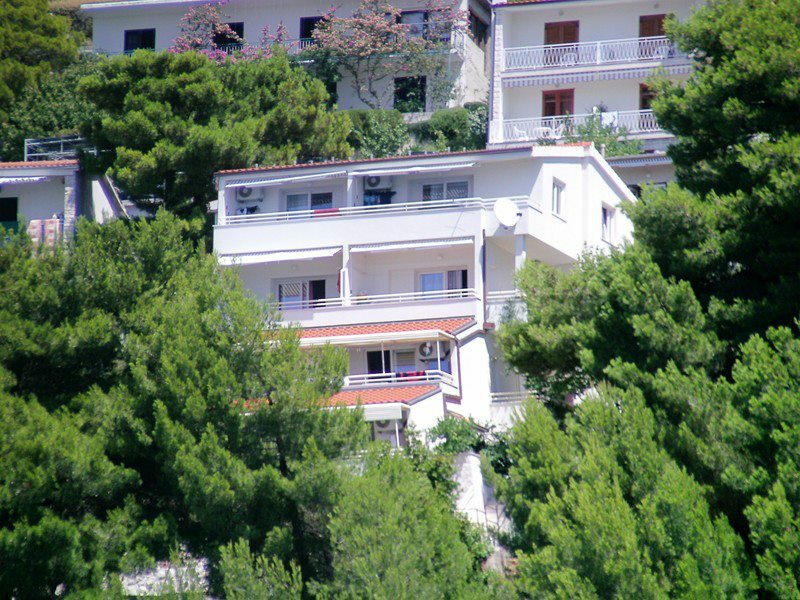 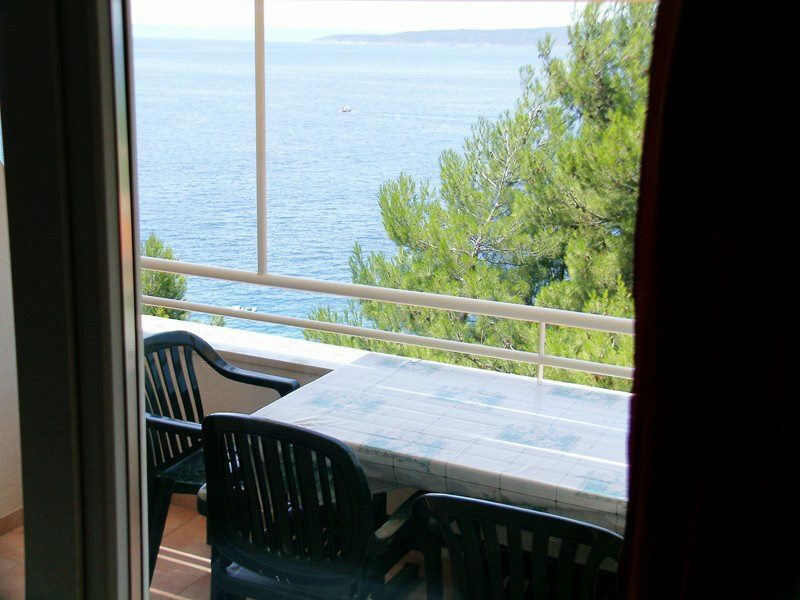 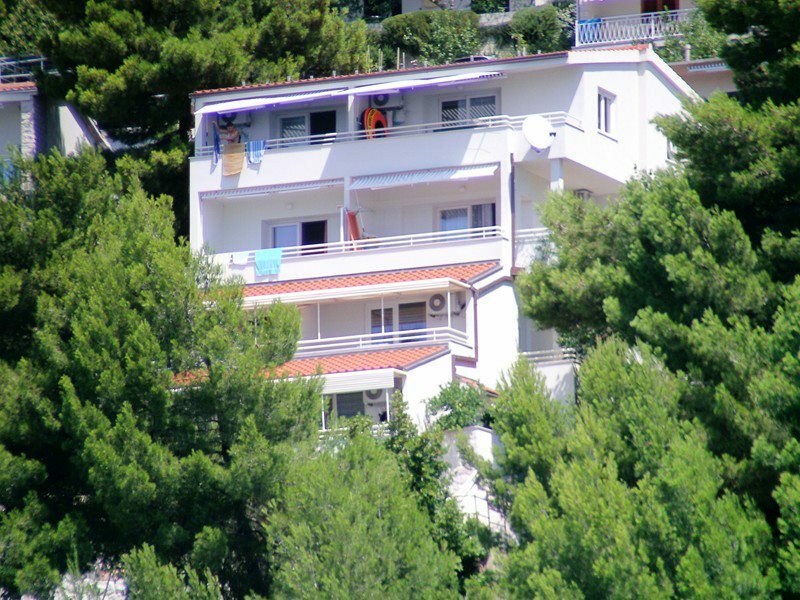 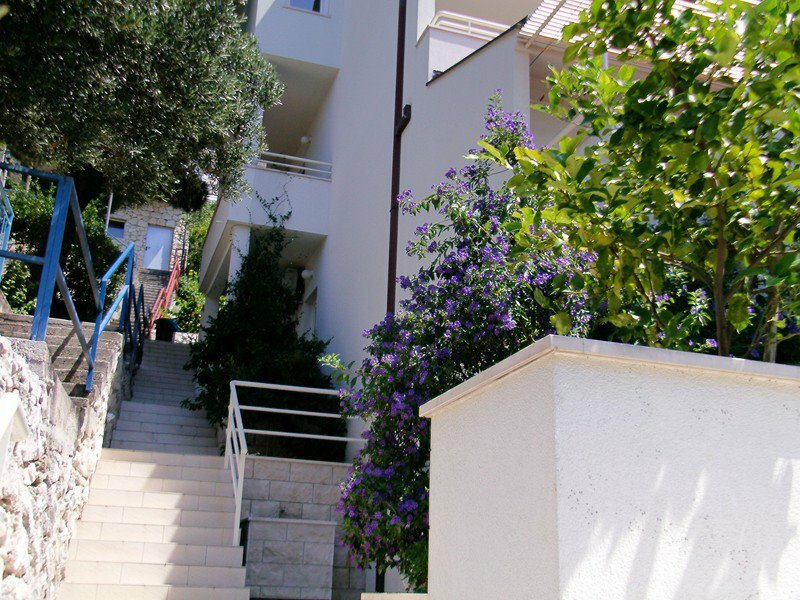 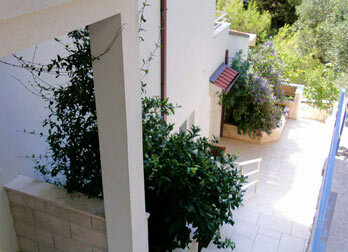 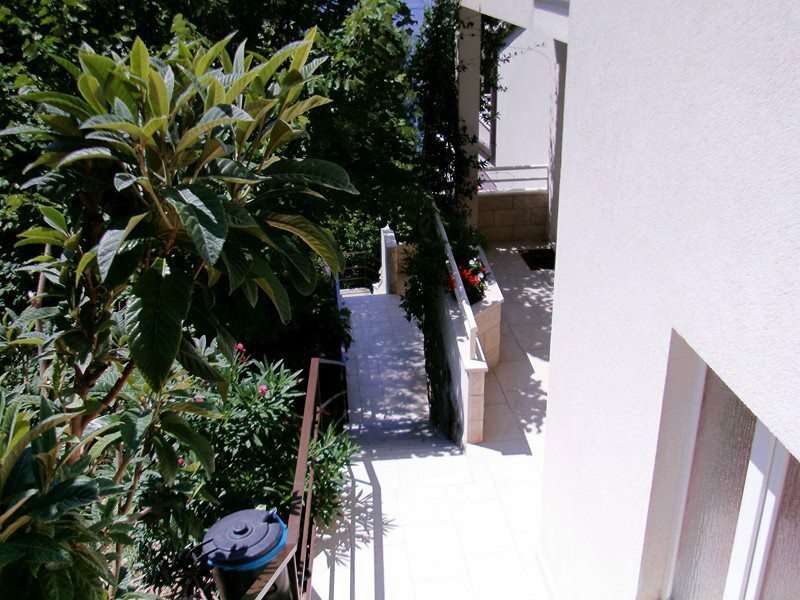 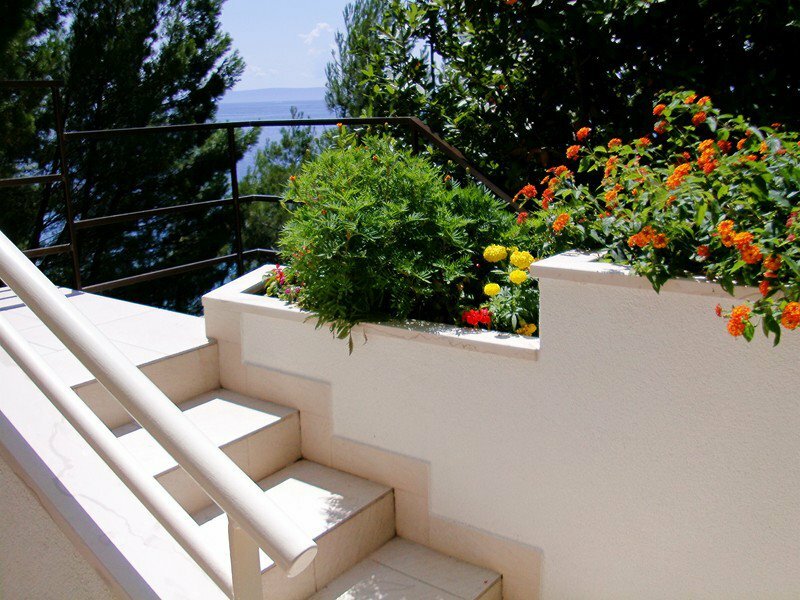 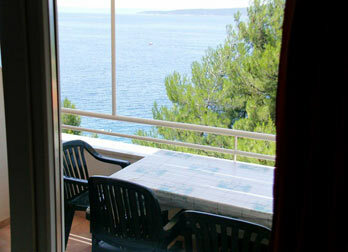 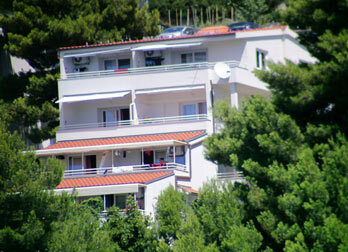 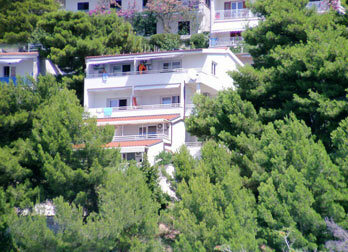 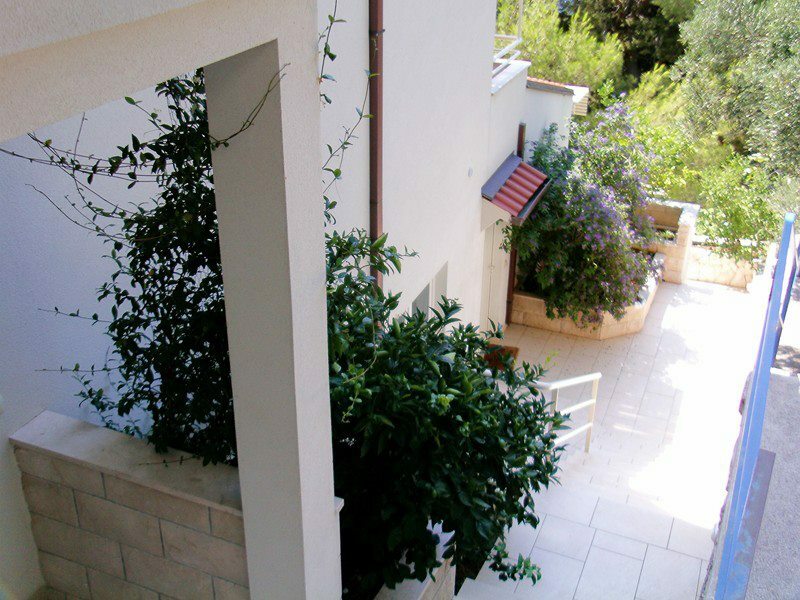 The house is situated just over the beach with open view on it and the sea. 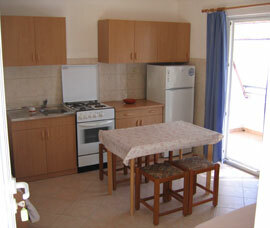 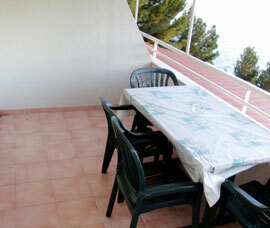 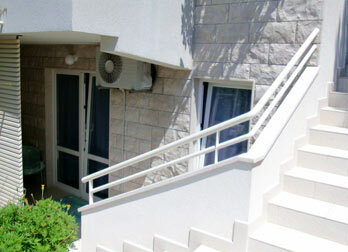 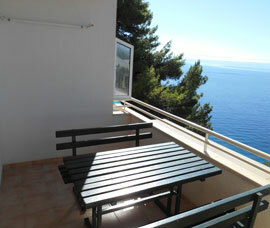 Each appartment has it's own entrance, kitchen, bathroom, balcony with nice view on the sea and parking place. 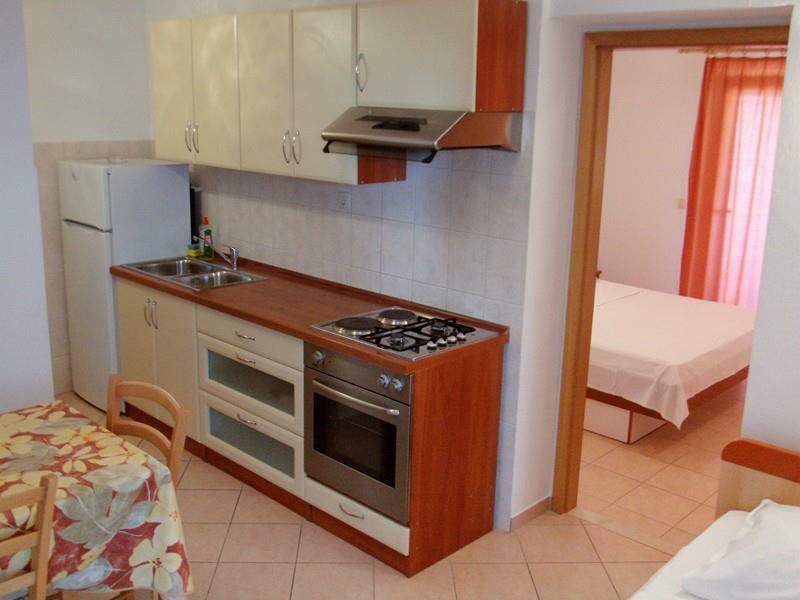 The price includes rent for the apartment, airconditioned apartments, satelite television, water and energy consumption, equipped kitchen, sheets and towels. 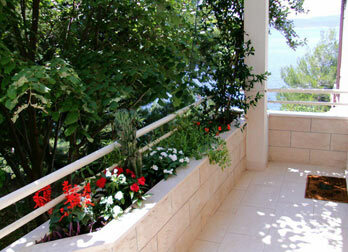 The house is situated just over the beach with open view on it and the sea. 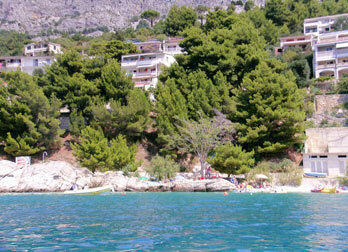 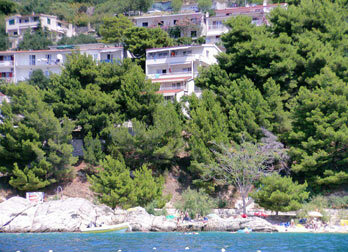 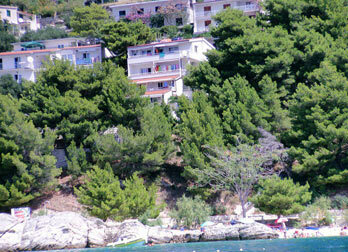 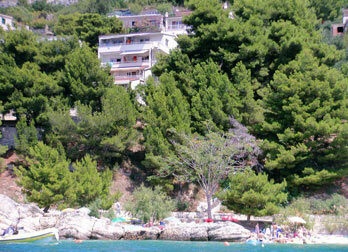 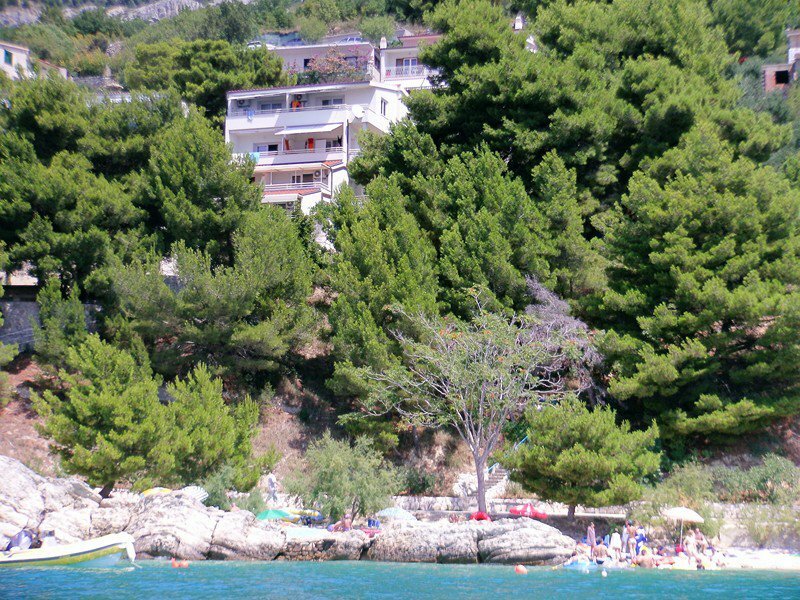 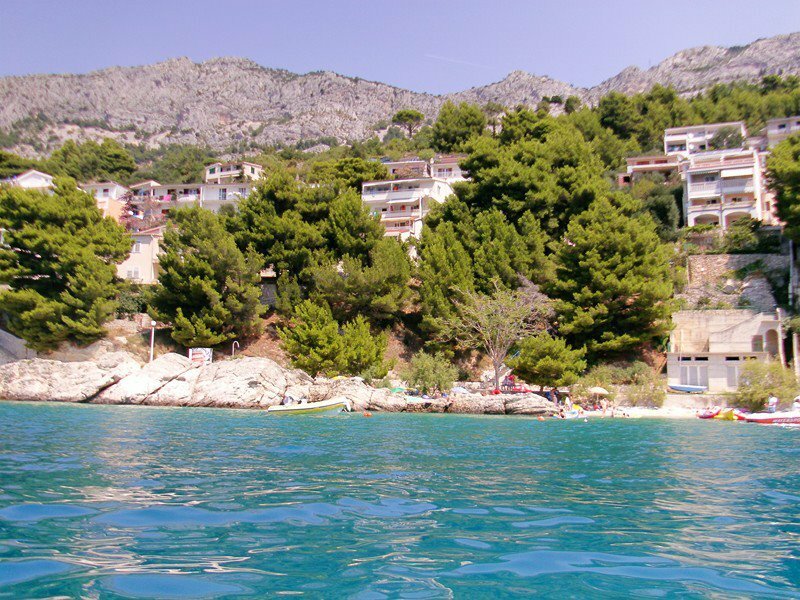 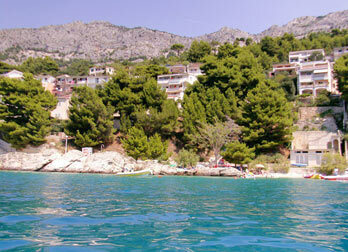 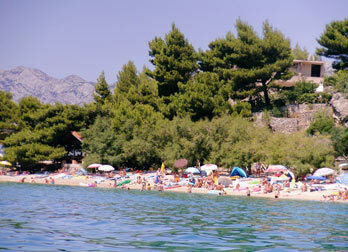 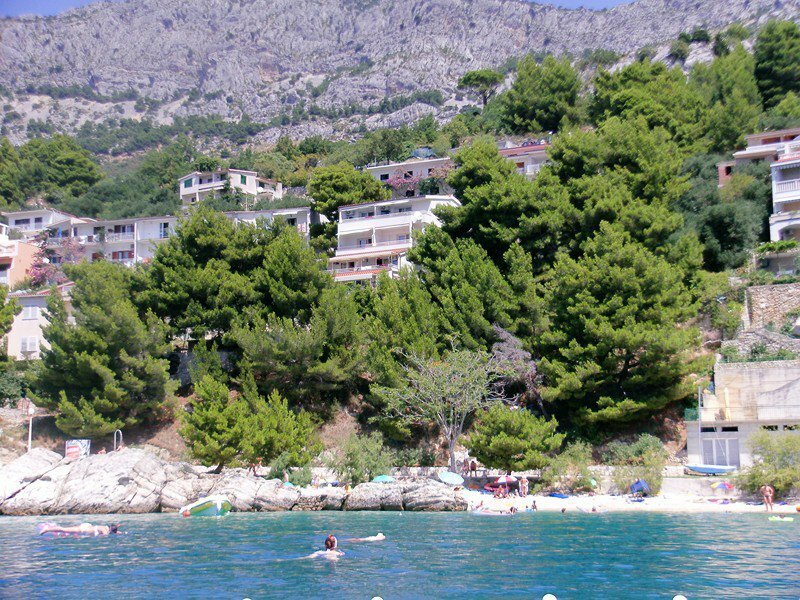 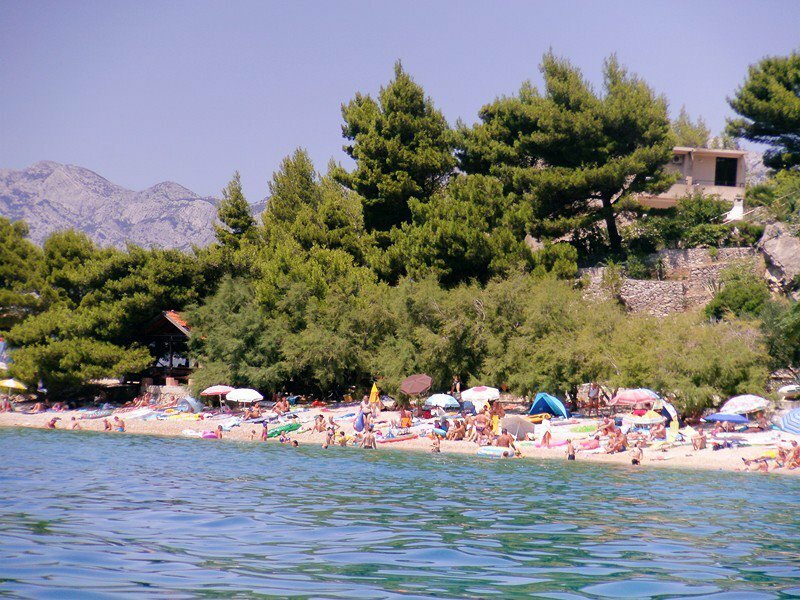 The beach is, like all beaches in Brela, regulary cleaned and showers are on free disposition. 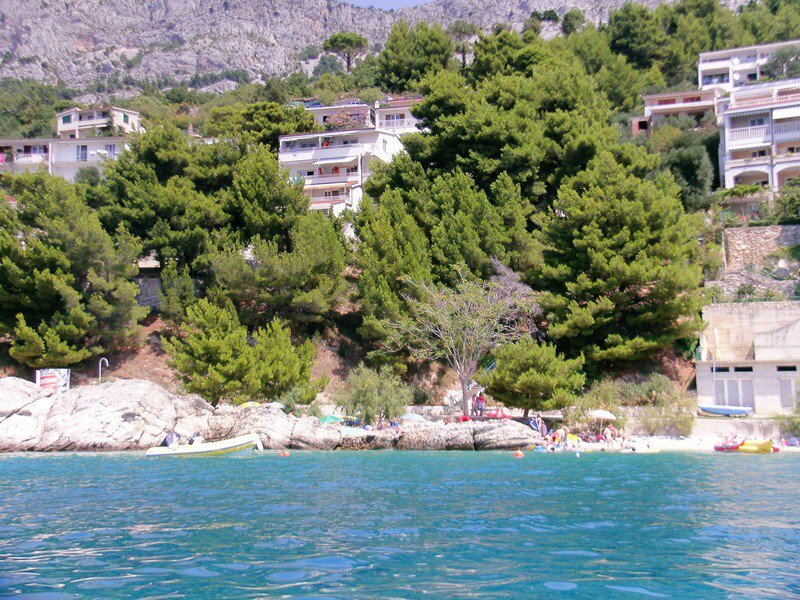 The beach next to it has grill where you can choose between meat and fish. 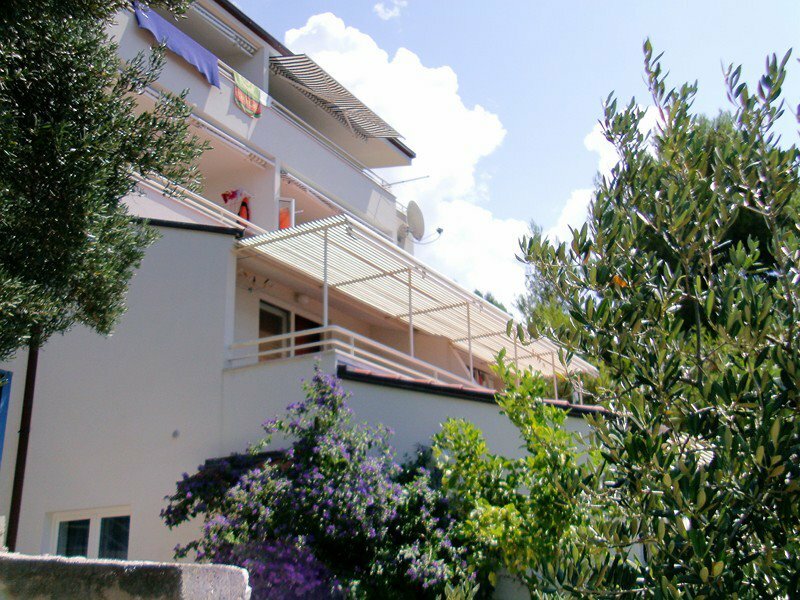 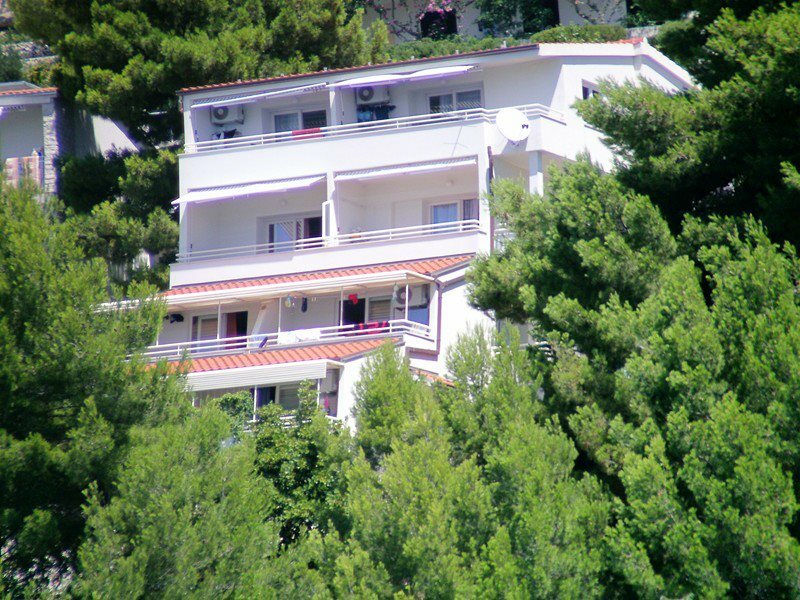 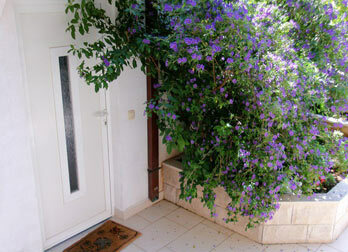 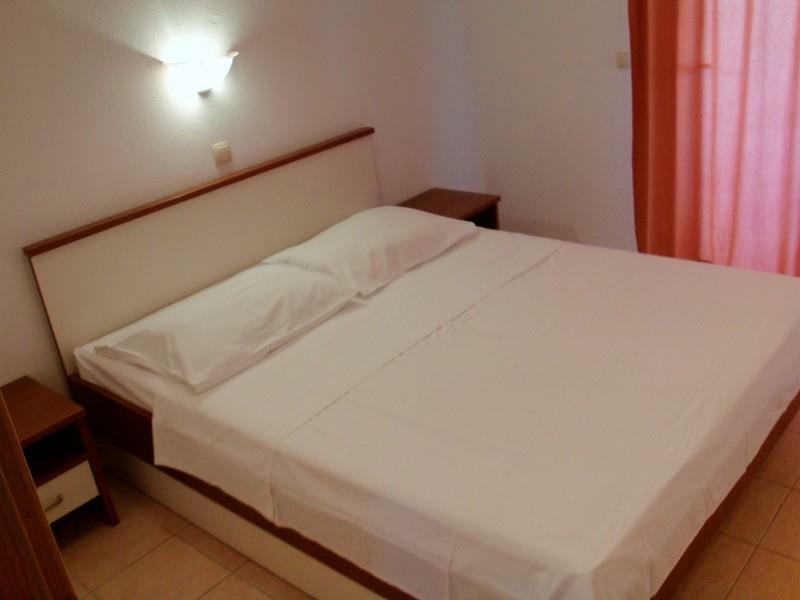 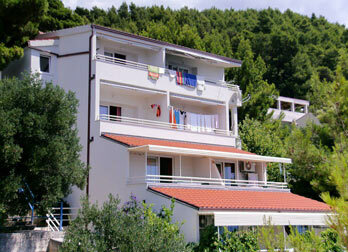 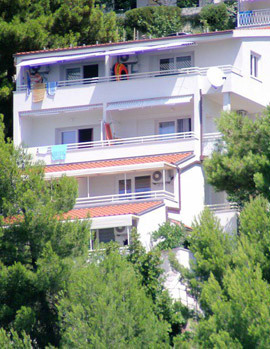 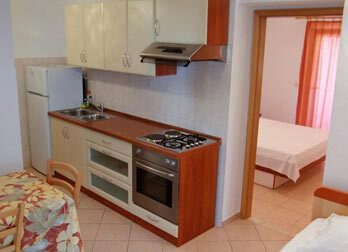 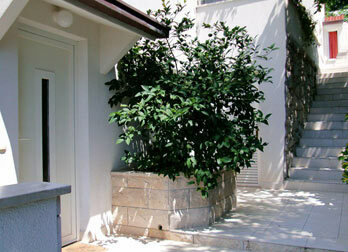 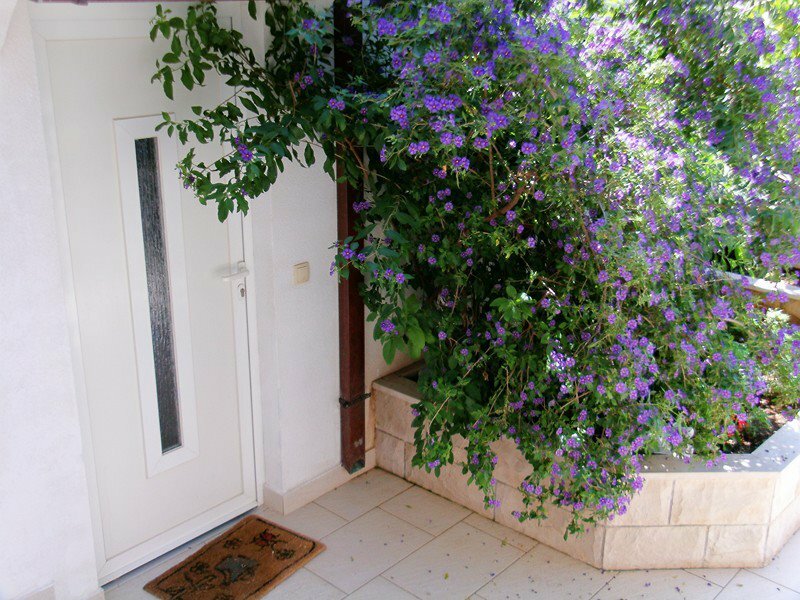 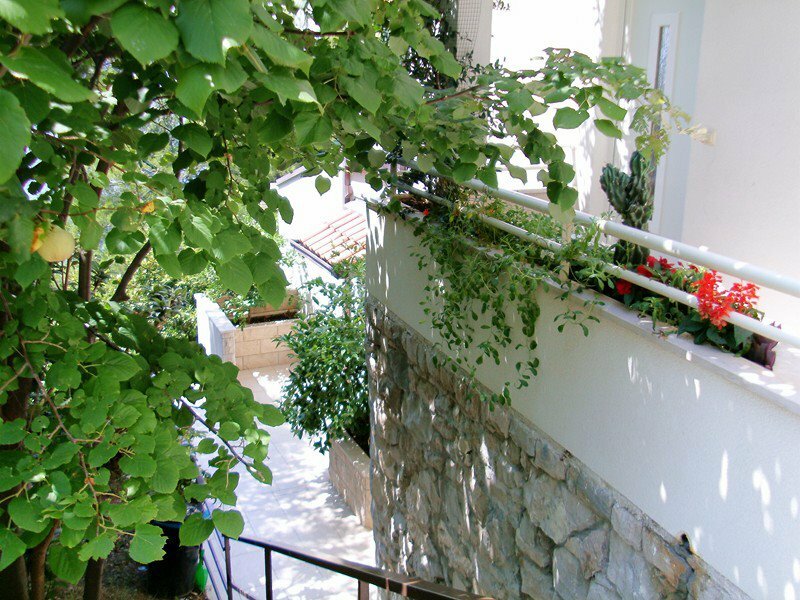 We offer you several appartments for various number of persons (2, 3, 4 or 5). 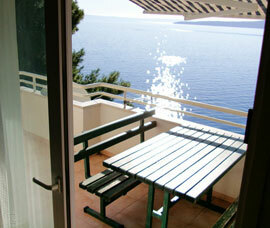 Each appartment has it’s own entrance, kitchen, bathroom, balcony with nice view on the sea and parking place. The price includes rent for the apartment, airconditioned apartments, satelite television, water and energy consumption, equipped kitchen, sheets and towels. 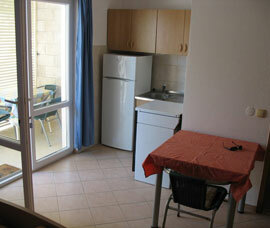 Cheap apartments renting in June and September!